This week, a local market had a great sale on lean steaks so I bought a boatload of them…some to freeze and some to season and grill. Yesterday, after a local charity run and a beautiful day, I fired up the grill for a delicious steak dinner. I used to buy expensive pre-mixed meat seasonings but soon realized that mixing my own seasonings was certainly more economical but also so much better when tailored for my families taste. 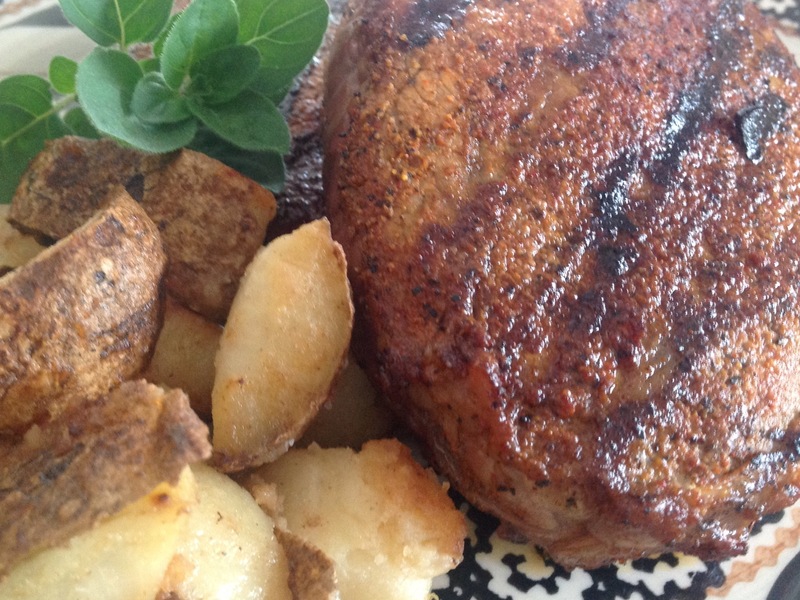 This “secret” recipe is a bit like a Montreal steak seasoning and it makes meats tender and flavorful with a bit of a spicy twist. 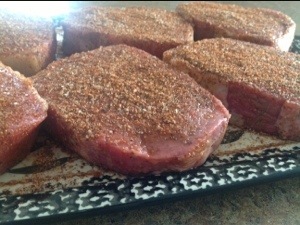 Sprinkle the seasoning on anything that you might be grilling. I’ve even sprinkled it on grilled pineapple and peaches. …So good! Mix all seasonings together and store in a tightly lidded container in a cool, dry place. Use as a rub for steak, pork, chicken, and shrimp. Sprinkle over grilled fruit or vegetables. Please don’t feel obliged to accept the nomination or participate – it took me months to do this when I was kindly nominated! If blog awards aren’t your thing, I totally understand, but just wanted to let you know I really enjoy your blog. Oh My Goodness! Your nomination means the world to me. Thank you for your kindness! I will look into all of the specifics of the award and get the process rolling. This “blogging thing” is all very new to me so I am thrilled that you have found my posts enjoyable. Thank you again, for recognizing me and for following my post. All the best to you as you continue to share with the world your life and your passion.